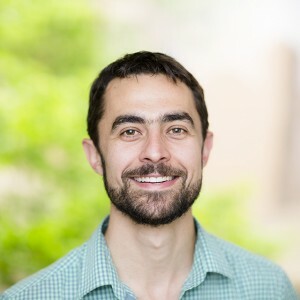 Dr Henley is a Research Fellow in the School of Earth Sciences at the University of Melbourne and a Lecturer in palaeoclimatology at Monash University. He is the Research Fellow for the Victorian Drought Risk Inference Project (VicDRIP) and is investigating decadal climate variations, megadrought risk and hydrological impacts using multi-proxy palaeoclimate records, observed data and climate model simulations. Dr Henley is a Research Fellow at the University of Melbourne, Lecturer at Monash University and an Associate Investigator in the ARC Centre of Excellence for Climate Extremes. Dr Henley received his PhD in hydrology and climate variability from the University of Newcastle (Australia) in 2012. He has worked in both academia and industry investigating hydro-climatic variability and water resource system performance, including hydrological modelling underpinning major water planning decisions. Dr Henley’s research interests include: decadal climate variability and climate change, the climate of the past 2000 years, the evaluation of large-scale climate circulation modes in climate models, hydrological modelling for water supply planning and the impacts and palaeoclimate context of anthropogenic climate change. Please email bhenley@unimelb.edu.au for access to pdf versions of these manuscripts. Henley B. J. & King, A. D. (2017) Trajectories towards the 1.5°C Paris target: modulation by the Interdecadal Pacific Oscillation. Geophys. Res. Lett., pp. 1–7. doi:10.1002/2017GL073480. Meltwater media report here. Mortazavi-Naeini, M., Kuczera, G., Kiem, A.S., Cui, L., Henley, B. J., Berghout, B. & Turner, E., (2015), Robust optimization to secure urban bulk water supply against extreme drought and uncertain climate change. Environmental Modelling and Software, vol. 69, pp. 437–451. Palaeoclimatology, (Semester 1, 2018, 3rd year, 22 Lectures, 11 Seminar-workshops, 20 hrs Pracs), Course development, Course coordinator, Chief Examiner and Lecturer, Monash University, Australia. Synopsis: Palaeoclimatology is the study of changes in climate taken on the scale of the entire history of Earth. The unit will provide an introduction to the methods of past climate reconstructions and the most important climate proxy records. It will discuss the evolution of the Earth climate from the formation of Earth to the present with a particular focus on the history of mankind and how this relates to future anthropogenic climate change. It will discuss the physical processes causing past changes in climate on a number of time scales. Blue Planet – Intro to Marine Environments (Semester 1, 2017, 2nd year, 4 Lectures), Lecturer, University of Melbourne, Australia. Climate Affairs (Semester 1, 2017, 1 Lecture), Lecturer,University of Melbourne, Australia. Blue Planet – Intro to Marine Environments (Semester 1, 2016, 2nd year, 4 Lectures), Lecturer, University of Melbourne, Australia. Climate Affairs (Semester 1, 2016, 1 Lecture), Lecturer, University of Melbourne, Australia. Climate Affairs (Semester 2, 2015, 1 Lecture), Lecturer, University of Melbourne, Australia. Climate Change 3 (Semester 2, 2014, Workshop leader) Demonstrator, University of Melbourne, Australia. 1. Baines, P. G. & Henley, B. J. (2015), ‘The effect of global dynamical factors on the interannual variability of land-based rainfall’, Chapter in J Li, R Swinbank, H Volkert, & R Grotjahn (eds), Dynamics and Predictability of Large-Scale High Impact Weather and Climate Events, Cambridge University Press, Cambridge, United Kingdom. 2. Mortazavi-Naeini, M., Kuczera, G., Kiem, A. S., Cui, L., Henley, B. J., Berghout, B. and Turner, E. (2014) Robust optimisation of urban drought security for an uncertain climate, in Applied Studies in Climate Adaptation (eds J. P. Palutikof, S. L. Boulter, J. Barnett and D. Rissik), John Wiley & Sons, Ltd, Chichester, UK. Henley, B.J., (2017) Pacific decadal climate variability: A factsheet for Australian water resource planners (available here). Gergis, J., Phipps, S.J., Lorrey, A.M., Abram, N.J., Henley, B.J., Saunders, K.M. & Aus2k Workshop Participants, (2016) 4th Aus2k workshop report – Australasian palaeoclimate of the last 2000 years: Inter-comparison of climate field reconstruction methodologies, modeling, and data synthesis approaches, (Submitted to Quaternary Australasia). Gergis, J., Lorrey, A.M., Abram, N.J., Henley, B.J., Phipps, S.J., Saunders, K.M. & Aus2k Workshop Participants, (2015) 4th Aus2k workshop report – Australasian palaeoclimate of the last 2000 years: Inter-comparison of climate field reconstruction methodologies, modeling, and data synthesis approaches, Pages Magazine. Hope, P., Gergis, J., Abram, N.J., Brown, J.R., Phipps, S.J., Drysdale, R., Henley, B.J., Lorrey, A.M., Roop, H. & Tyler, J. (2014), ‘Workshop report: Australasia’s past climate variability-strengths drawn from palaeoclimate and model data over the last 2,000 years’, Bulletin of the Australian Meteorological and Oceanographic Society, vol. 27, pp. 92–95. Berghout, B., Henley, B.J. et al (2014) SoMo Documentation – Hunter Water Headworks Simulation Model, Version 2012.3c, Technical Report, Hunter Water Corporation, Newcastle, Australia. Mortazavi-Naeini, Mohammad, G. Kuczera, AS Kiem, B.J. Henley, B. Berghout and E. Turner (2013), Robust optimisation of urban drought security for an uncertain climate, Report by the National Climate Change Adaptation Research Facility, Gold Coast, 74 pp. We'll keep you updated from time to time, opt out at any time!